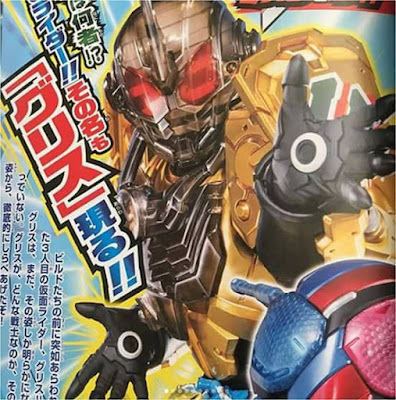 The truth has been exposed in the TV series so it's time for the next chapter of Kamen Rider Build and let's all start by introducing the third Kamen Rider who will also be making his debut this Sunday: Kamen Rider Grease! 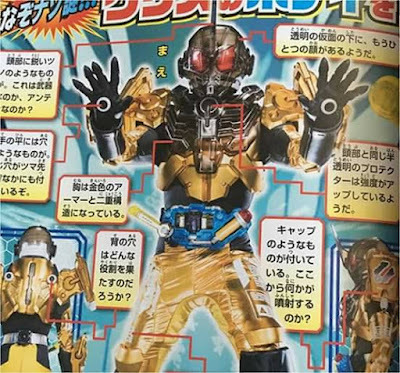 After the revelation of Sento Kiryu's identity from the last episode, the nation of Hokuto finally makes their movie by unleashing their very own Rider, the golden warrior known as Kamen Rider Grease. Looking on his suit design, he has multiple nozzles located on his shoulders, chest and hands that are used to secrete gels during combat. 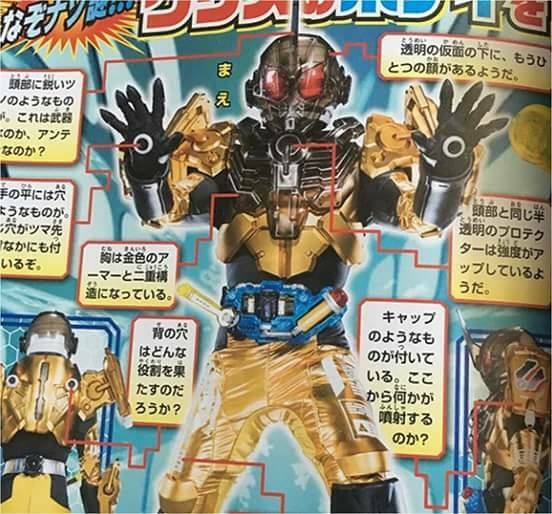 Rumor has it that his fighting style is based on an oil wrestler hence the golden colored suit. 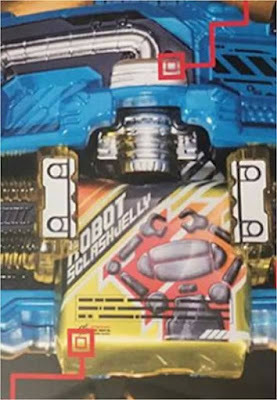 Kamen Rider Grease's soon-to-be named civilian identity will use the Sclash (yep, Sclash, not Scrush) Driver and the Robot Sclash Jelly (probably contains the elements of the Robot Full Bottle when he stole it from Build in recent the movie). 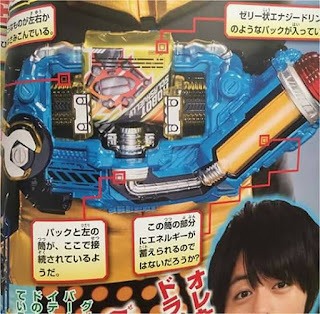 As for the actor who is confirmed to portray Kamen Rider Grease, it is none other than Takuya Yoshimura. 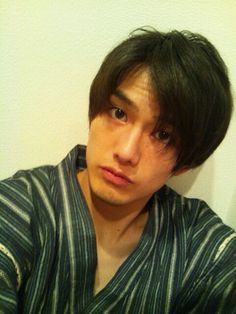 Actually, the actor is now confirmed to be veteran Kouhei Takeda, who previously played Otoya Kurenai in Kiva.